This film marked Zeman's magical return to the world of Jules Verne and to the inventiveness of the Steam Age. It was also his first widescreen film. He was inspired by Art Nouveau advertising and newspaper illustrations, building on his experience from The Fabulous World of Jules Verne. 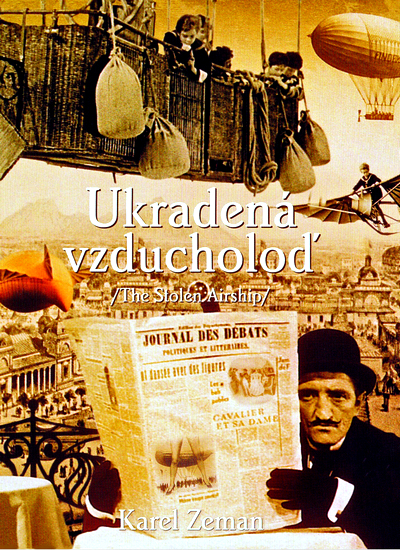 Based on two different Jules Verne novels for its story: Two Years’ Vacation and The Mysterious Island, it tells the adventures of five boys in an accidentally stolen airship and of a journalist trying to uncover the secrets of a villainous tycoon. It's a dizzying array of animation, stylized special effects, adventure, fantasy and surreal slapstick humor. The movie is full of strange images, such as a welter of strange airships (including one that can be rowed and one that harbors a set of can-can dancers), spies with fake arms, and a shark stranded on the bottom of the ocean for having eaten a too-heavy torpedo. The "Nautilus" and Captain Nemo show up for a short sequence as well.